The people living on Beacon Hill, you have very little space to “strut their stuff” for the holidays. But these folks are creative. From window boxes, to balconies, to Louisburg Square, they found ways to decorate and have fun. I just wish I could go in Monday night and trick-or-treat. 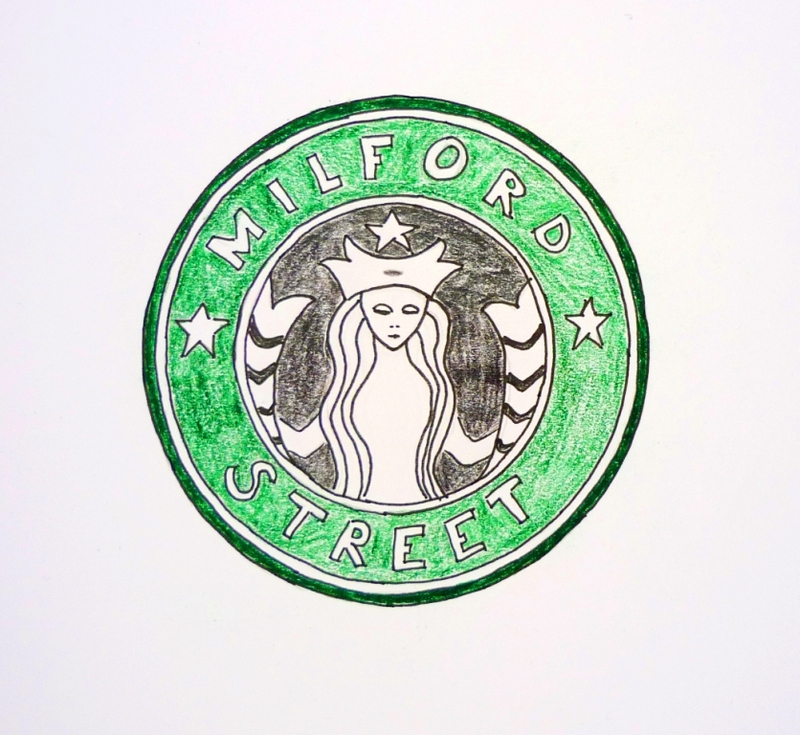 This entry was posted in boston, massachusetts and tagged beacon hill, halloween, milford street on October 30, 2016 by milfordstreet. 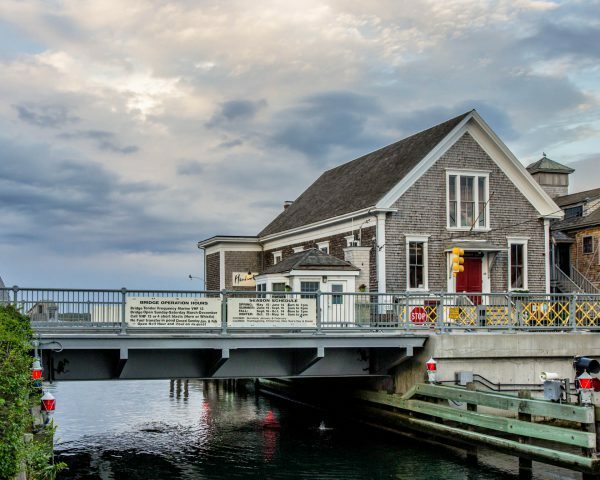 Previously, I’ve shown some views of Eel Pond in Woods Hole Massachusetts. If you want to get your boat in or out, you have to go through this drawbridge. 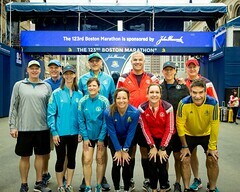 This entry was posted in massachusetts and tagged draw bridge, eel pond, massachusetts, water, woods hole on October 29, 2016 by milfordstreet. Thank you to everyone who contributed, offered prayers and shared the link to the Go Fund Me page to help Rosita get treatment to save her vision. In the past week, people contributed over $200 towards her treatment. 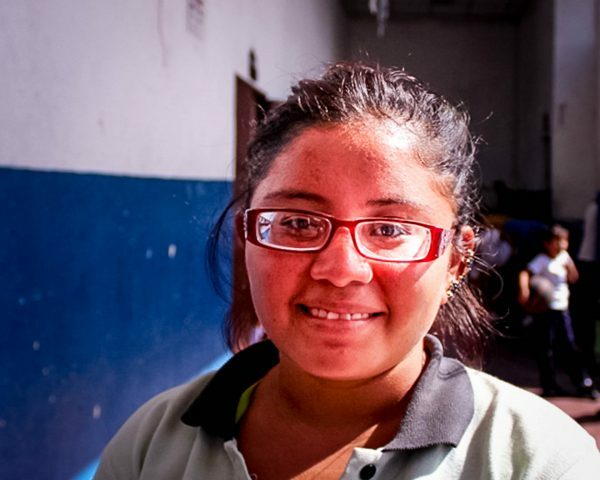 I spoke with the program director down in El Salvador and he was touched by people’s spirit and generosity. This entry was posted in Uncategorized on October 28, 2016 by milfordstreet. 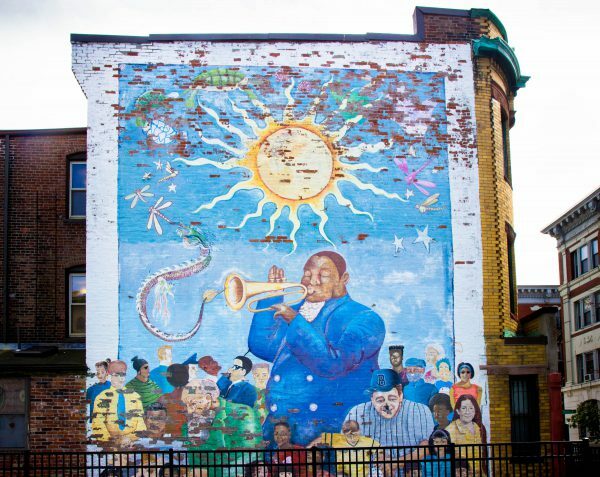 This entry was posted in boston, massachusetts and tagged art, boston, massachusetts, milford street, trumpet, wall on October 28, 2016 by milfordstreet. 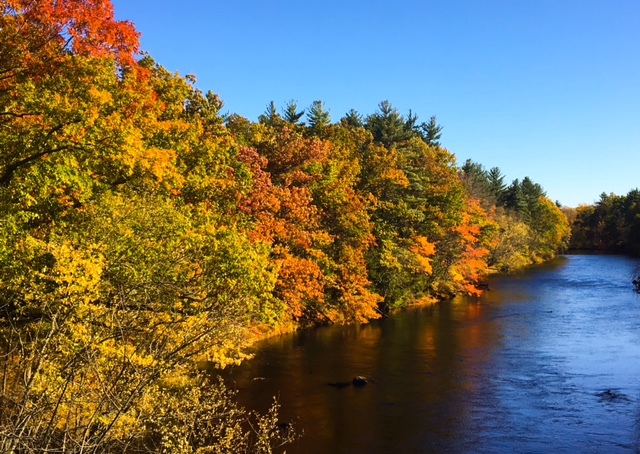 Last Sunday, I pulled over by the side of the road to make this image (made and edited in my iPhone) along the Nashua River in Hollis, NH. Wind and rain had caused us to lose much of the foliage, but this spot still looked quite nice. As a bonus, say hello to my little friend. 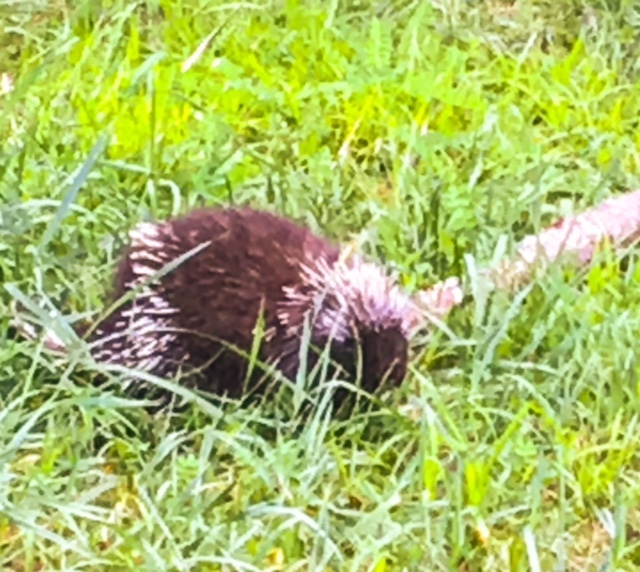 He is a porcupine that I’ve met a few times while hiking. He lives around an often traveled pathway along a dam on the conservation land near home. He is rather cute but is low on the cuddly scale. This was also made with my iPhone from about ten feet away and then cropped to enlarge him a bit. Sorry, that it is a bit grainy. This entry was posted in Uncategorized and tagged autumn, foliage, nature, porcupine, river on October 27, 2016 by milfordstreet. A couple of years ago, I heard a cast member of one of those outdoor reality shows say that in the wilderness “If you’re not doing something all the time, you’re doing something wrong.” The same applies to trying to do an eighteen-month graduate program in a year. We are halfway through the first semester. I’m enjoying it and learning so much. The faculty are wonderful. It is a small program, and there is a benefit to that. The classes are fun and the assignments are interesting. 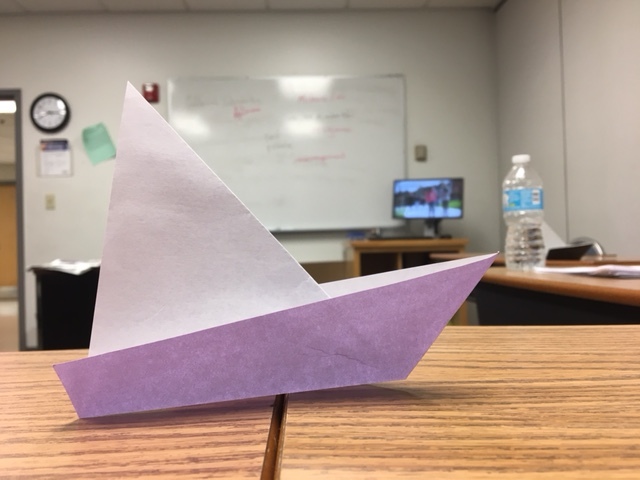 For example, the image above is from a class this week in which a guest lecturer talked about and demonstrated her use of origami to teach English. Still, taking graduate classes for the first time in fifteen years has been a bit of an adjustment. In addition to the usual reading, tests and papers, we are required to journal, spend fourteen hours observing in at least three different classroom settings, contribute to discussions online, prepare lesson plans and perform teaching demonstrations. My background managing projects is coming in handy. I pretty much viewed the semester as a big project and developed a plan for workflow. It is allowing me time to get my assignments done without feeling overwhelmed. This helps to focus me on learning rather than just getting assignments done. So, my life is busy. The football game is still on the television on Sundays, but I don’t get to see much because I’m usually editing papers or something. We still have time for an outing here and there. I’m trying to fit fall chores in between assignments and doing a little bit at a time. Life is good and in less than a year, I’ll be a teacher. This entry was posted in Uncategorized and tagged language, school on October 23, 2016 by milfordstreet. 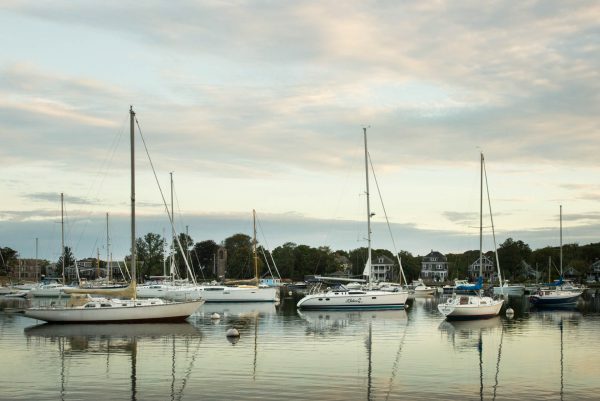 Sailboats in Woods Hole’s Eel Pond on an early September morning. This entry was posted in massachusetts and tagged boat, eel pond, woods hole on October 23, 2016 by milfordstreet.